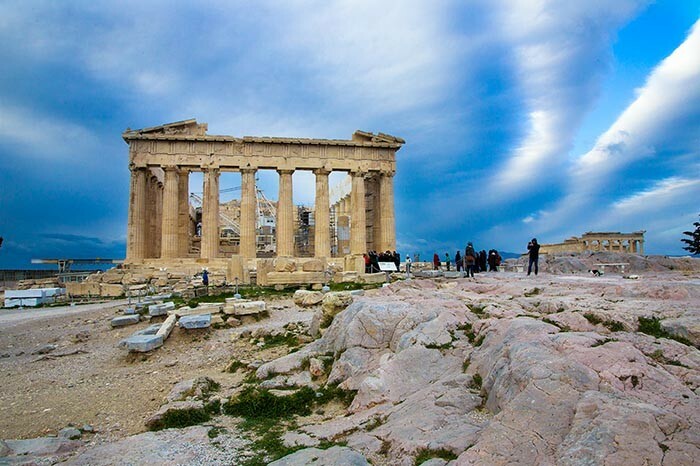 Sunday was our last full day in Greece. 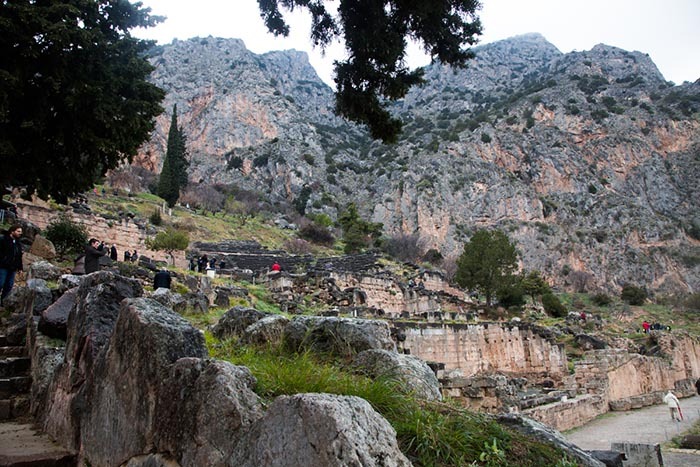 After an early breakfast at our hotel we boarded our motor coaches for the two-and-a-half hour ride to Delphi. 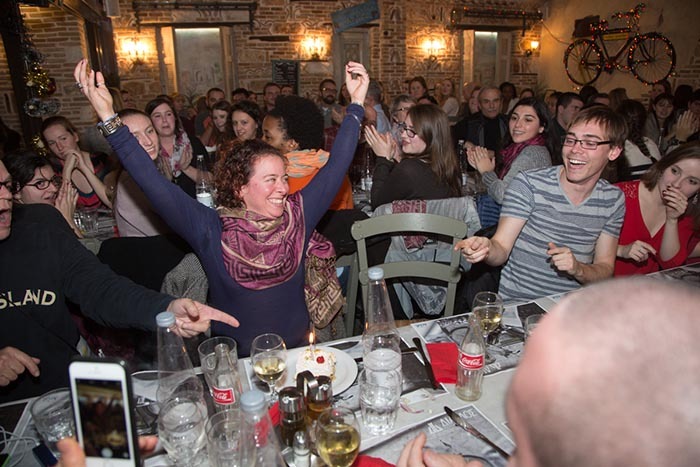 On the way we passed through the small ski resort town of Arachova, where our bus somehow managed to navigate the narrow, winding streets. 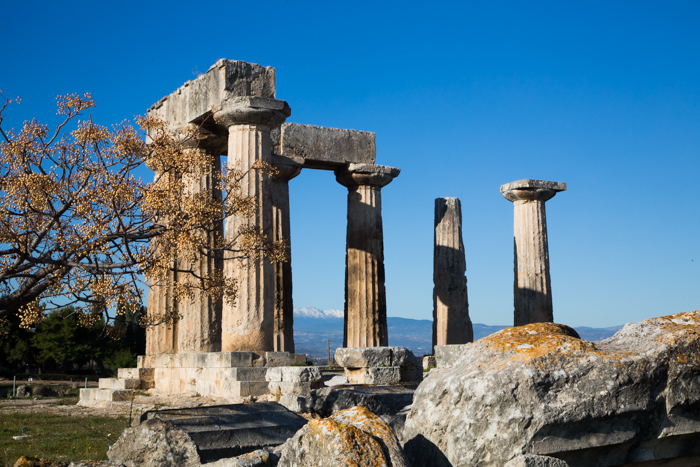 Delphi is home to the most important religious site of the ancient Greek world. 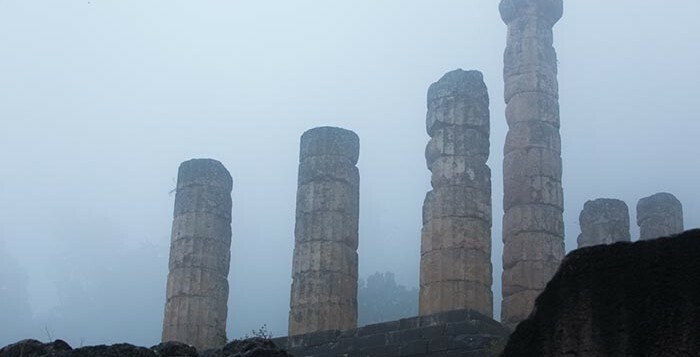 Thousands of Greeks came to Delphi to consult the oracle, who delivered the words of Apollo by inhaling vapors, slipping into a trance, and uttering her message to a priest. 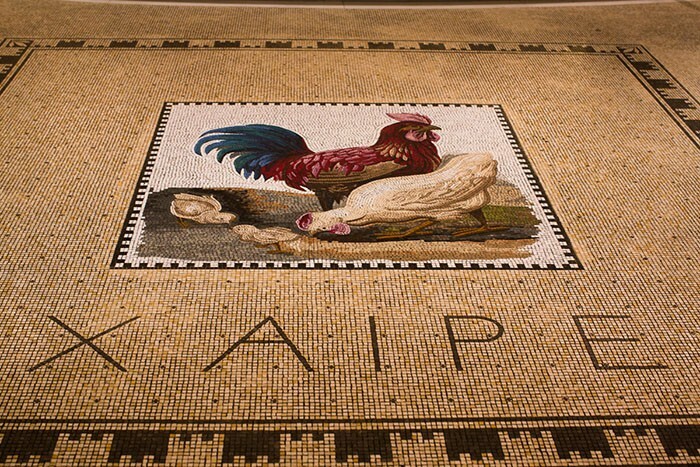 The priest would then pass these words onto the visitor. 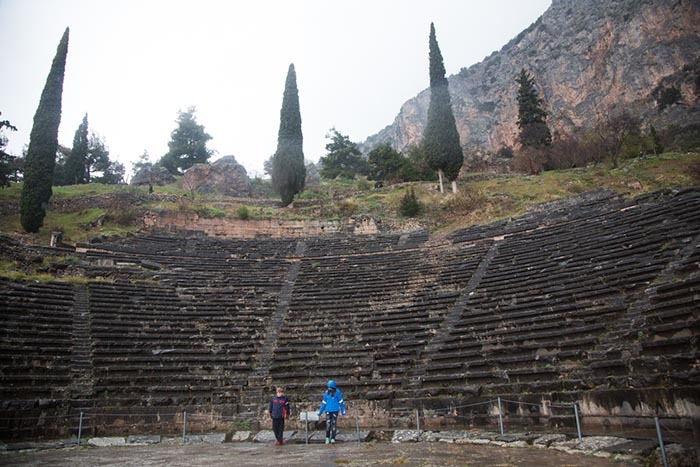 Above: The theater at Delphi, where up to five thousand spectators enjoyed plays, poetry readings, and musical events. 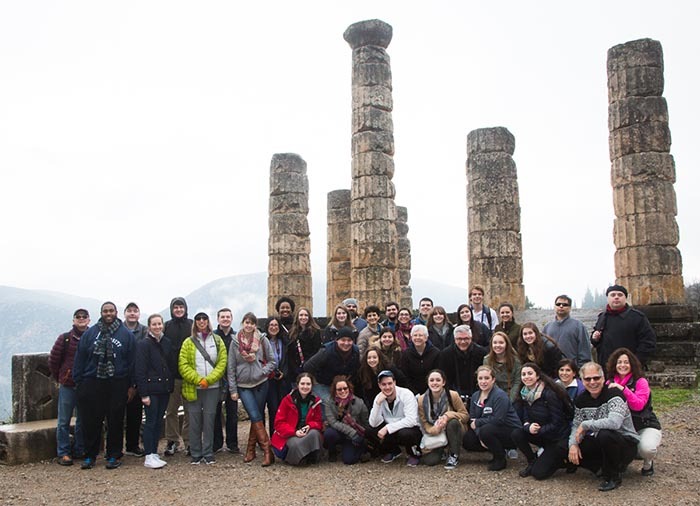 Above: SCSU students and chaperones in Delphi. 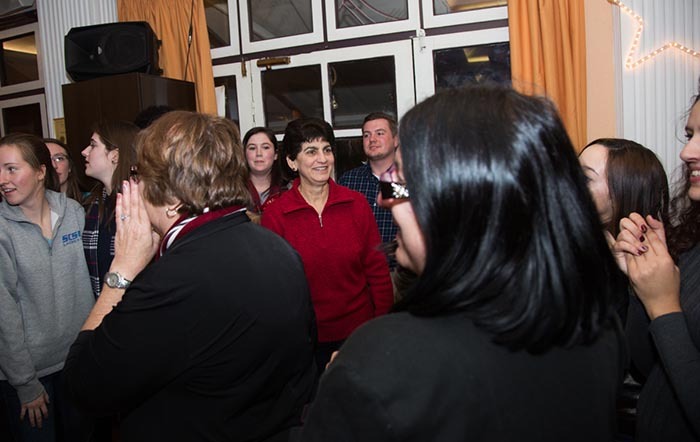 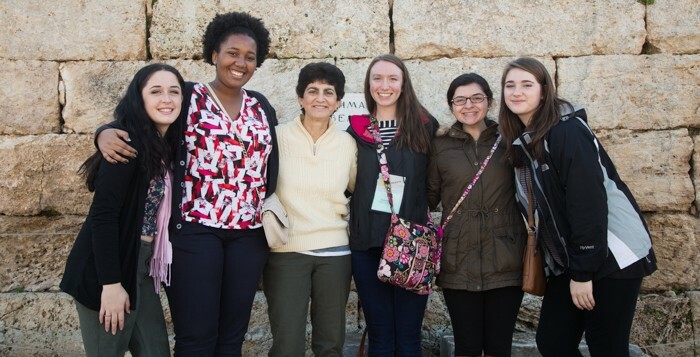 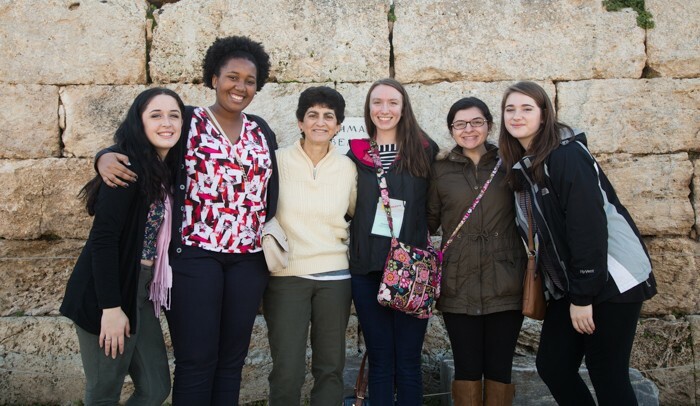 Below: SCSU Honors Colleges students with President Papazian (left), and Terese Gemme (right) in Delphi. 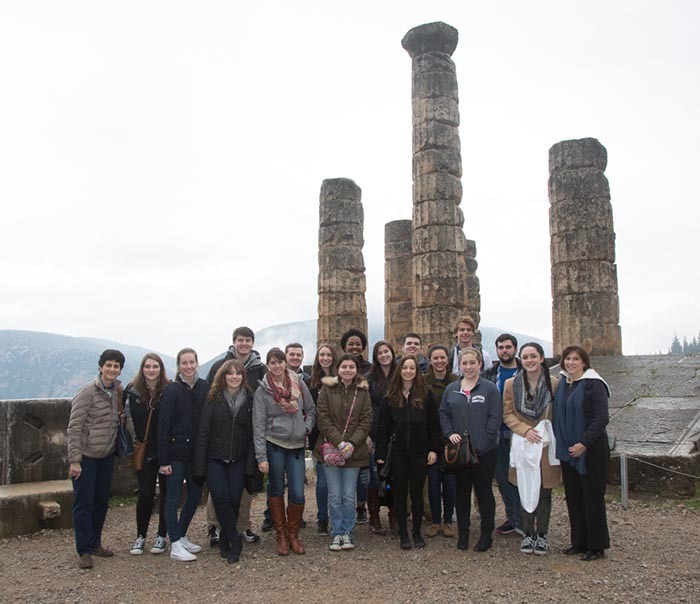 Below: SCSU students in Delphi. 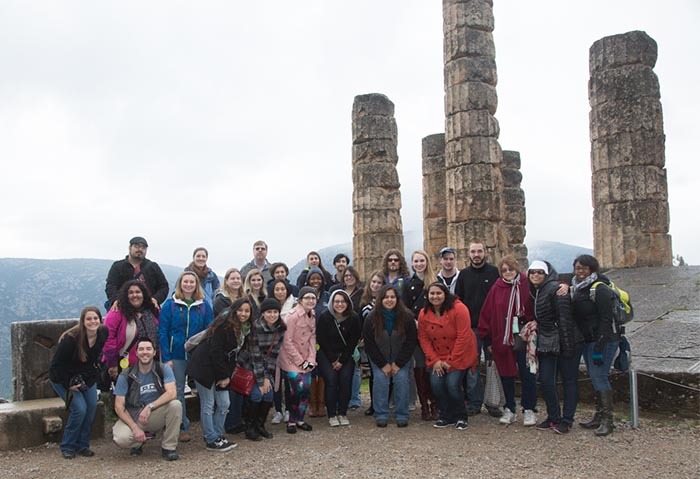 After touring the site we visited the adjacent Archaeological Museum of Delphi. 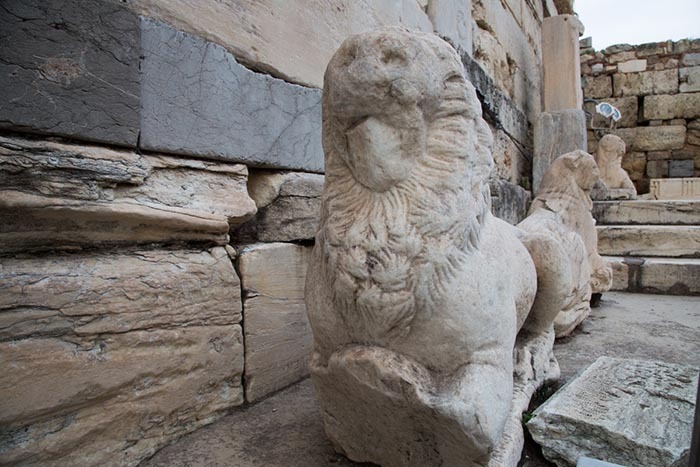 The museum’s extensive artifacts were unearthed during excavations at the Delphi oracle and vicinity. 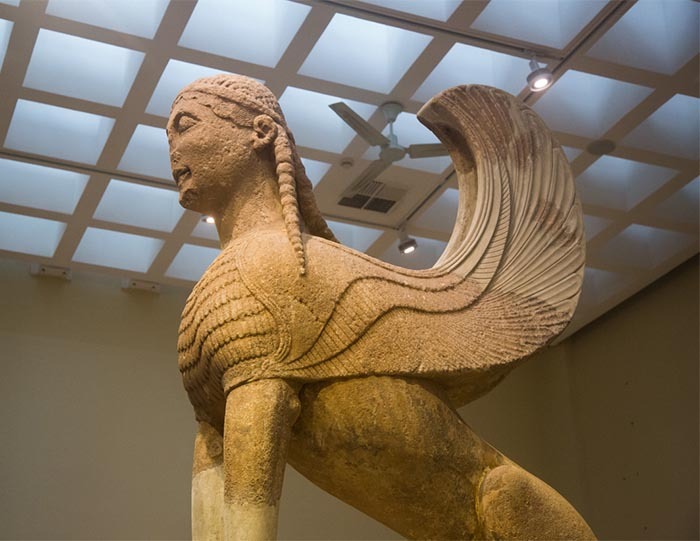 Above: The Large Sphinx of Naxos at the Delphi Museum. 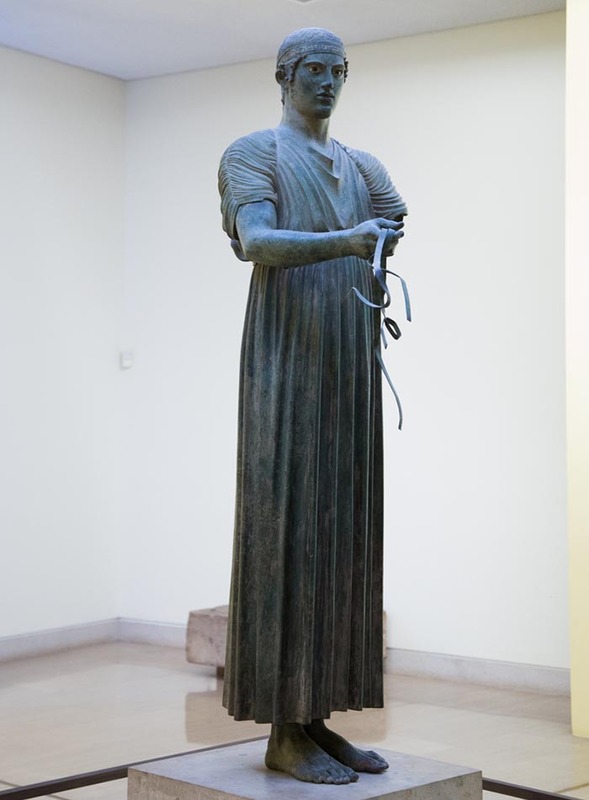 Below: The Charioteer of Delphi at the Delphi Museum. 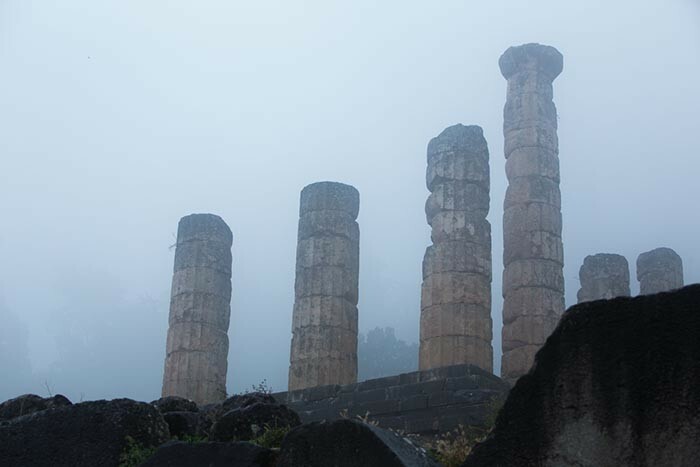 A steady rain began just before we left the site for lunch. 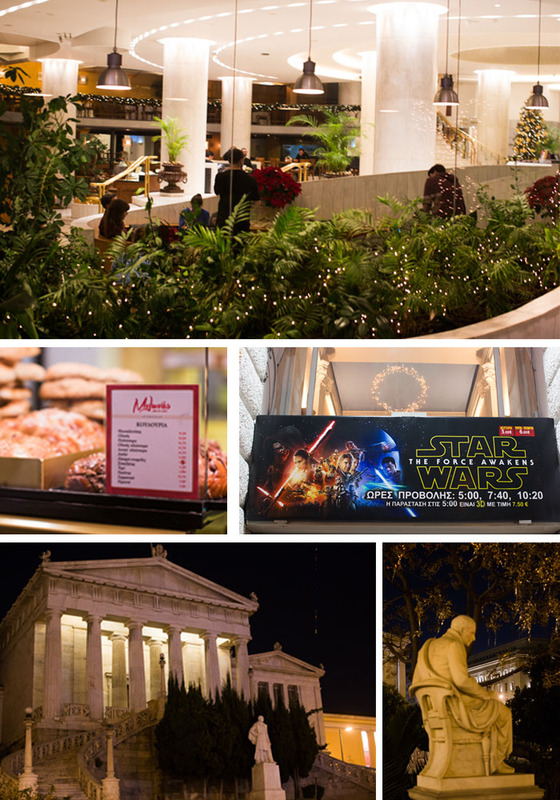 The day ended with a final dinner in the Plaka district. 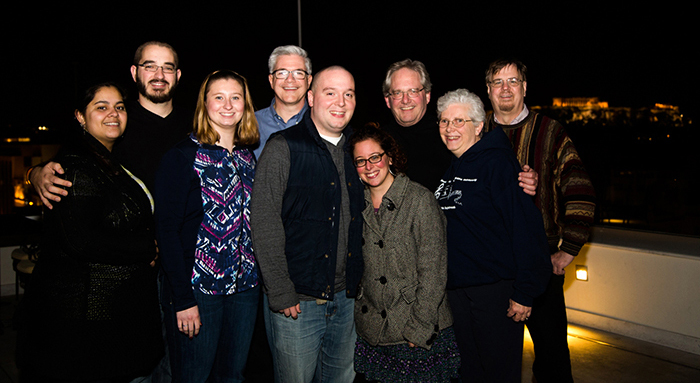 We grabbed just a few hours of sleep before leaving for our very early flight back home. 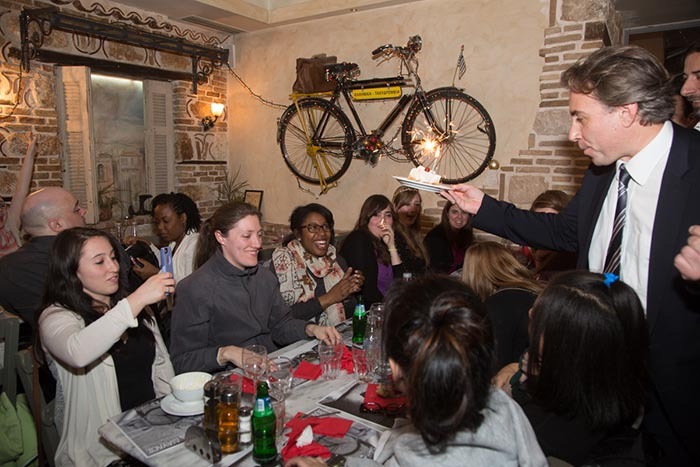 At our final dinner in the Plaka shopping district. 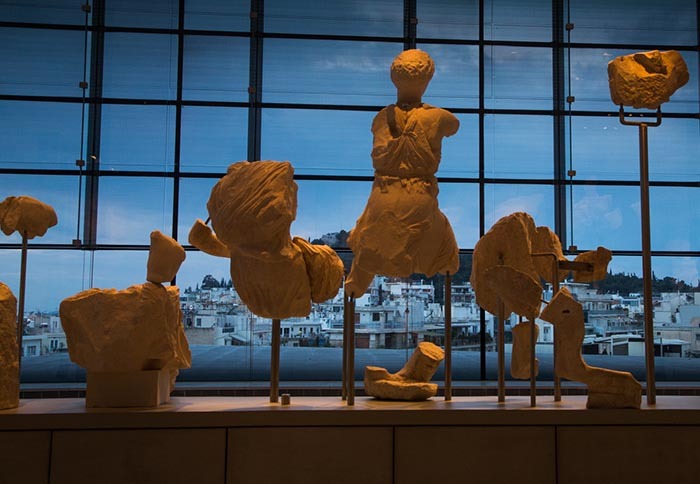 Antio from Athens! 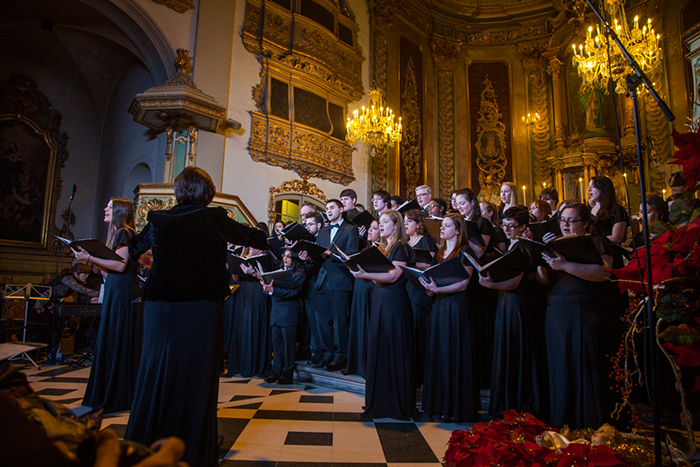 On Saturday the choir performed its final concert. 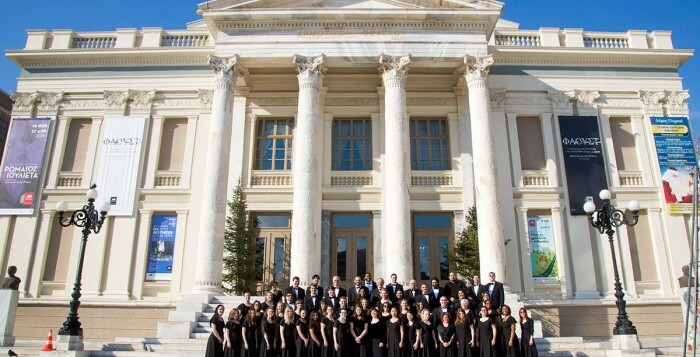 The venue was the beautiful Piraeus Municipal Theater, considered one of the finest examples of 19th-century Greek public architecture. 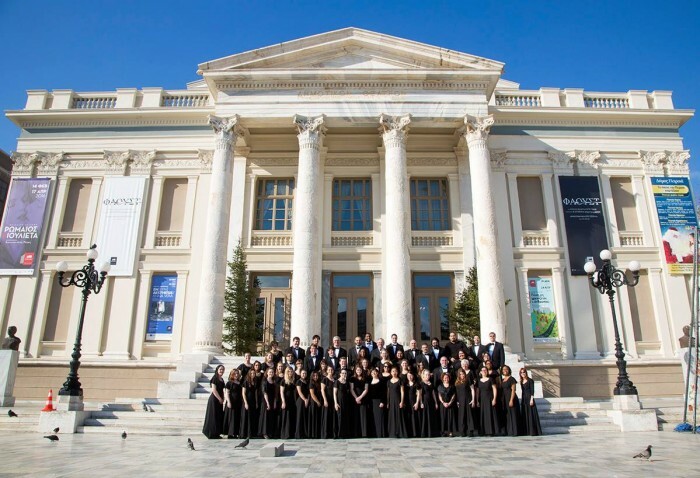 Sunshine and warmer temperatures provided the perfect backdrop for a post-concert group photo in front of the theater. 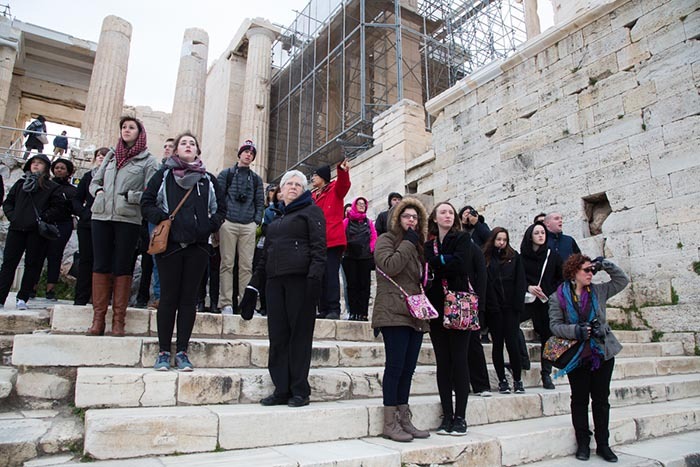 After lunch in the Plaka shopping district we headed over to the Acropolis Museum. 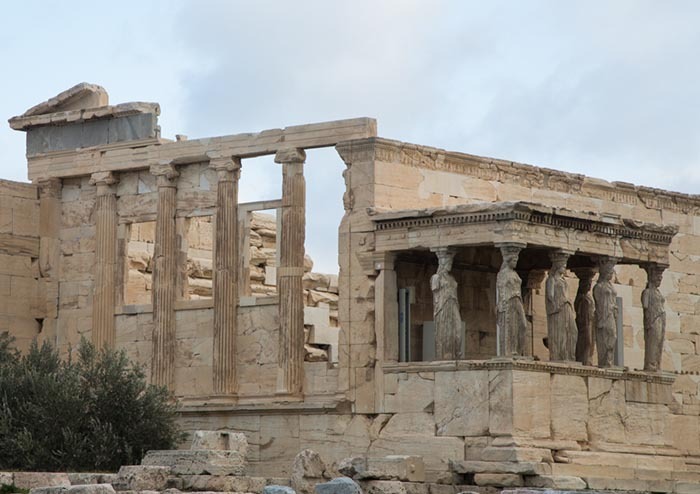 Located about 1,000 feet from the Acropolis, the museum is built on top of several layers of the ancient city, and houses all many artifacts found at the Acropolis, including the Frieze of the Parthenon and the Caryatids from the south porch of the Erechtheion. 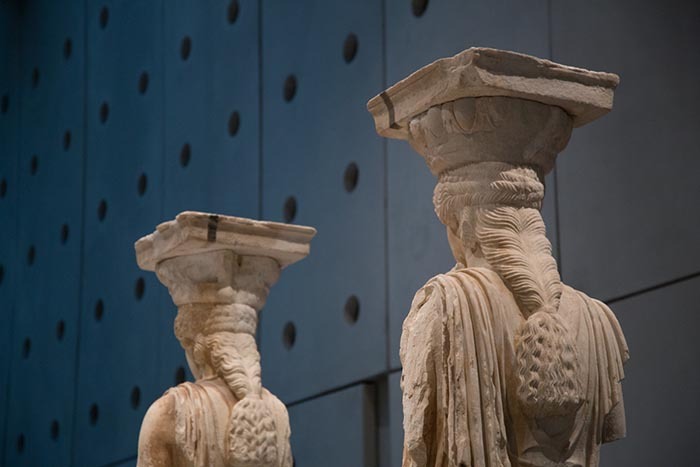 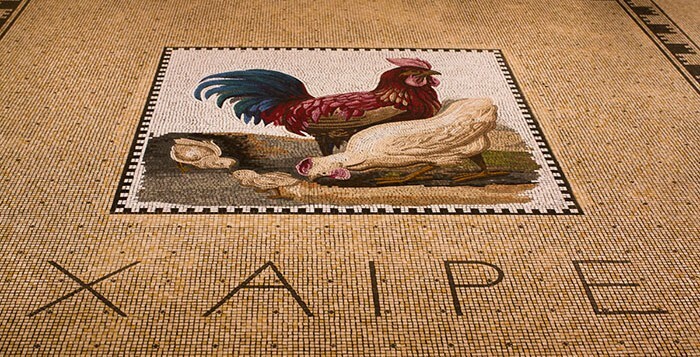 Opened in 2009, it is considered to be one of the top museums in the world. 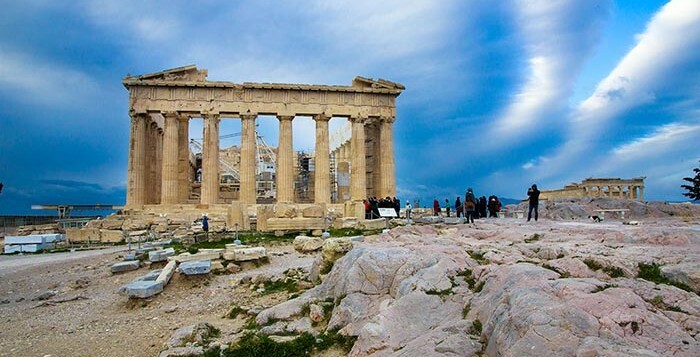 A transparent floor provides views of the excavation, and the upward slope of the floor alludes to the ascent to the Acropolis. 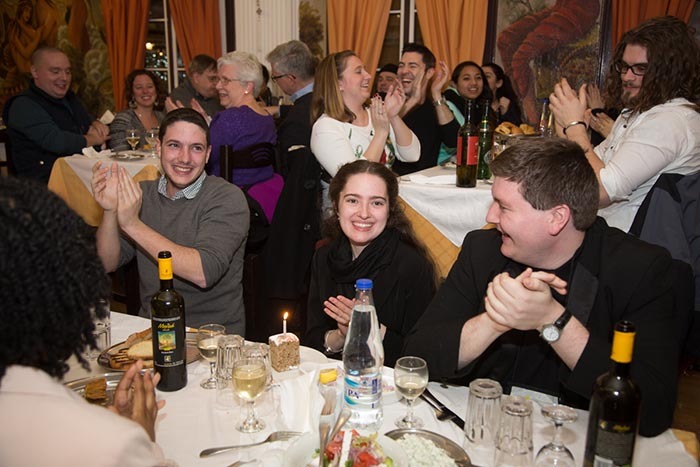 The day concluded with a lively festival farewell dinner, where two choir members with recent birthdays received surprise cakes. 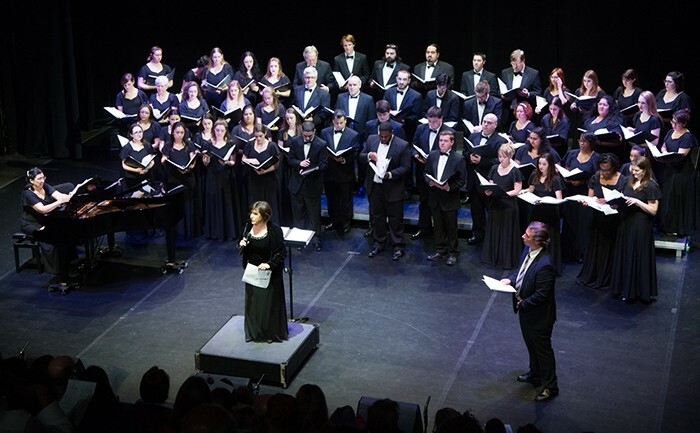 Photos from top: The SCSU choir in front of the Piraeus Municipal Theater; Artifacts at the Acropolis Museum; Choir members Ashley and Sarah Jane celebrate their birthdays; From left: University of Alberta Madrigal Singers choir director Leonard Ratzlaff, guest director Simon Carrington, Michael Clohesy of KI Concerts, SCSU choir director Terese Gemme, and St. Thomas Aquinas Parish choir director Matt Eldred. 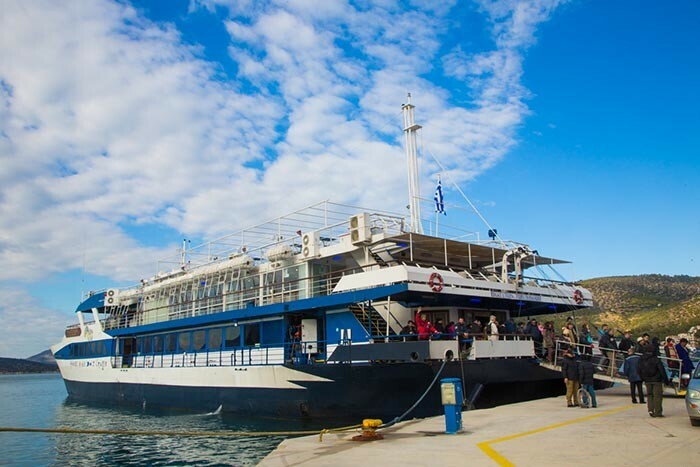 On Friday we took a day-long cruise to three Greek Islands: Hydra, Poros, and Aegina, located in the Aegean Sea. 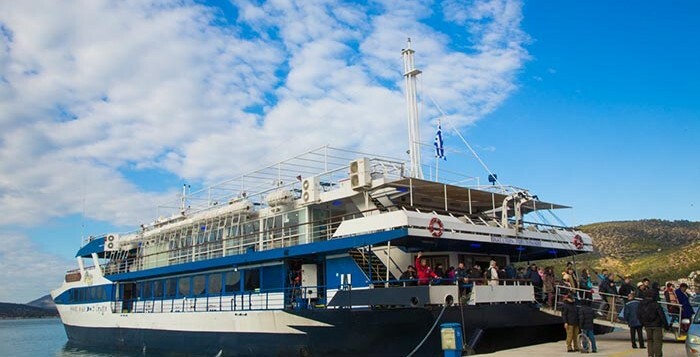 We boarded the “Athens One Day Cruise” ship in Piraeus, a port city six miles southwest of central Athens. 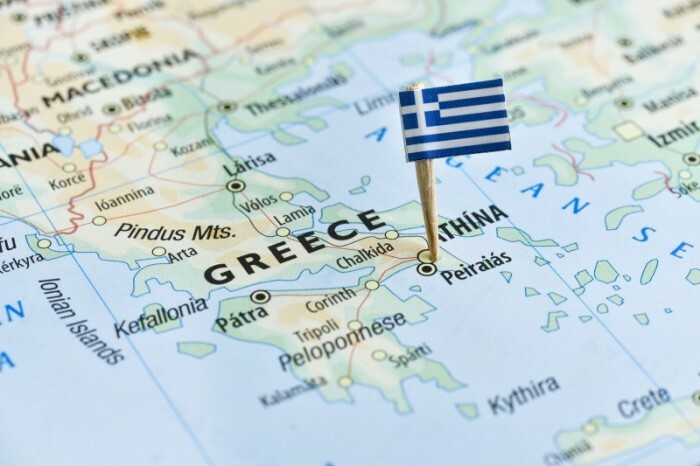 We arrived in Hydra a little over an hour later, where we had enough time to explore the shops along the waterfront, and hike the narrow stone-paved streets. 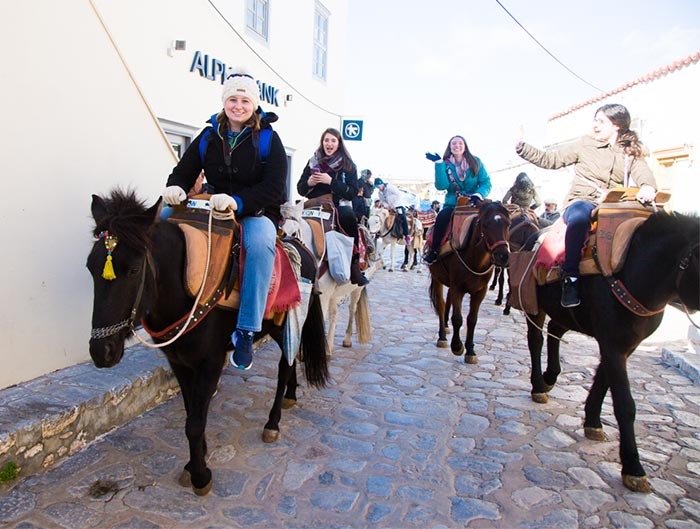 Many of us tried out the island’s traditional mode of transportation – the donkey! 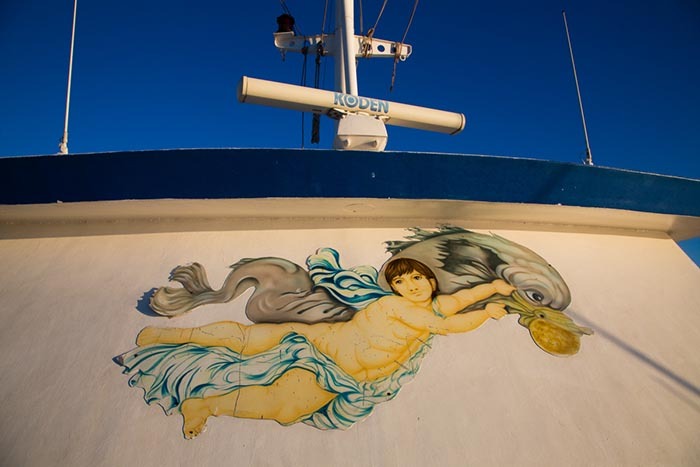 Back on the ship we sat down to a buffet lunch of pasta, greek salad, fish, and chicken. 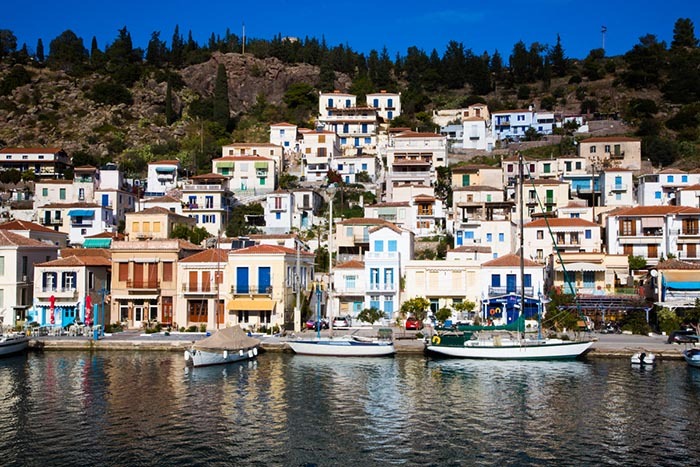 Next up was a short visit to Poros, with its small, winding streets. 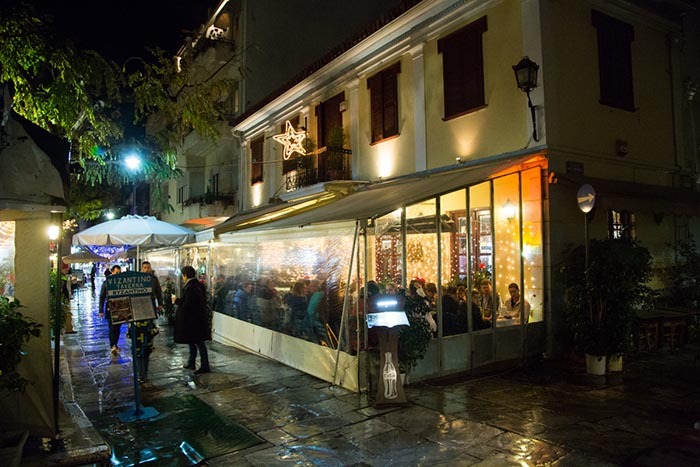 Although many of the shops and cafes were closed due to the holiday, the cheek-to-jowl whitewashed homes with colorful orange roofs provided a stunning setting. 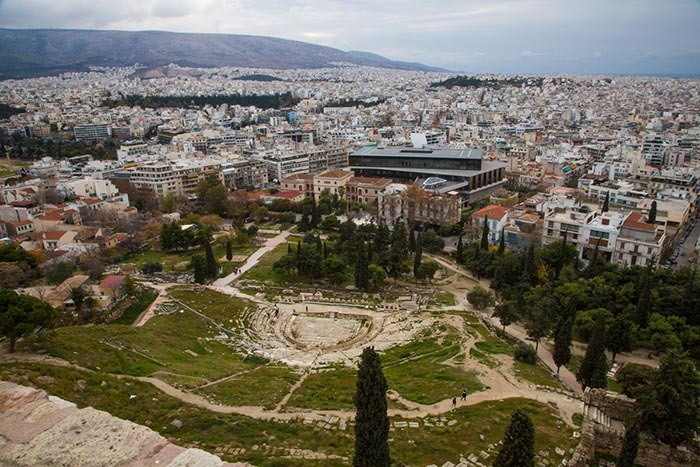 Steep steps led up to a clock tower and a spectacular view of the surrounding area. 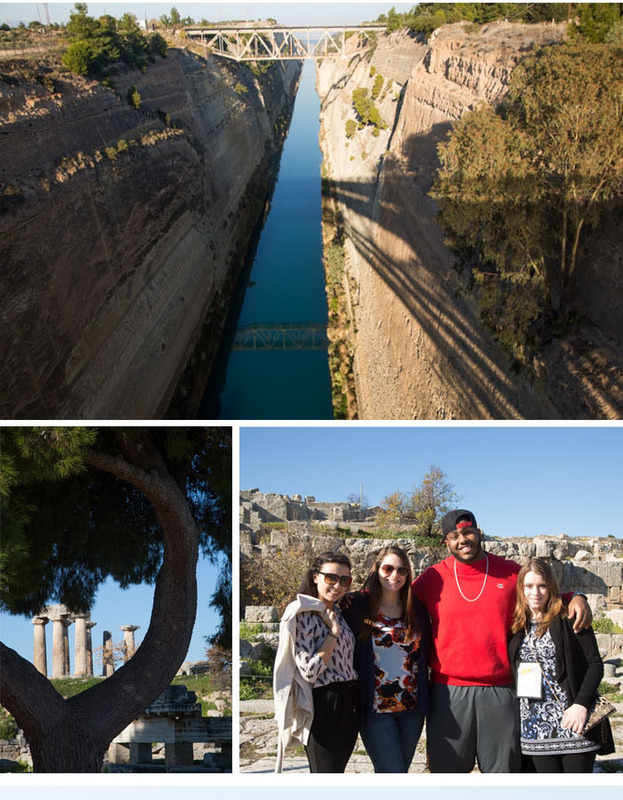 Our final stop was Aegina, known for “the best” pistachios in the world, as well where Nikos Kazantzakis wrote “Zorba the Greek.” Many from the group opted for the Panoramic Bus Tour – a drive across the entire island, with a stop at the Church of Saint Nectarios. 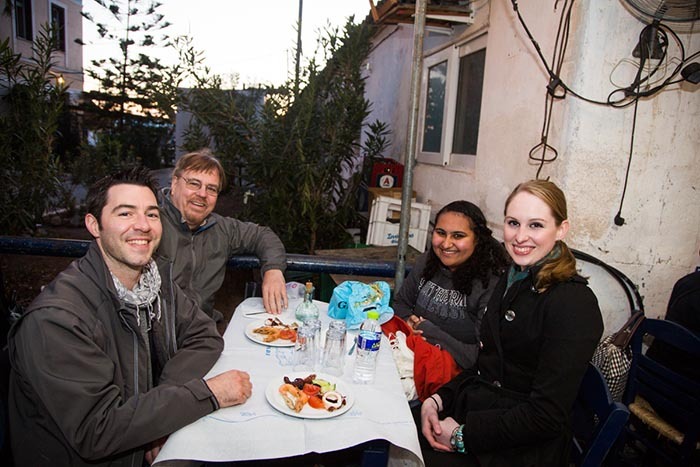 Choir members enjoying a “seafood snack” on the island of Aegina. 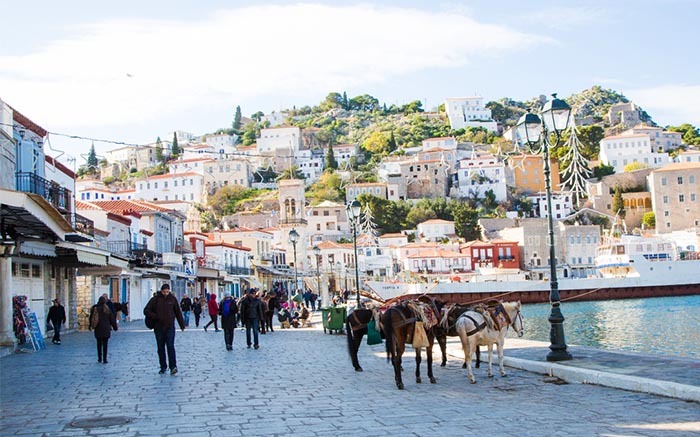 Donkeys at the port of Hydra, Greece. 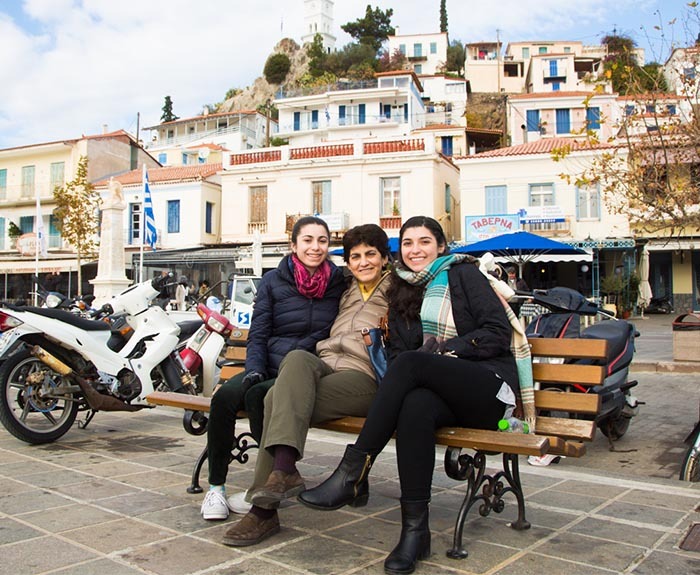 President Papazian enjoying the water views with her daughters Marie and Ani on the island of Poros. 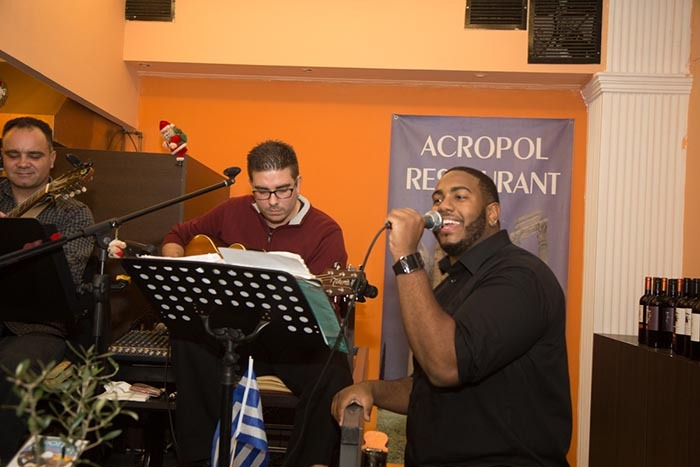 A traditional Greek folk show with costumed singers and dancers entertained us as we made our way back to Athens. 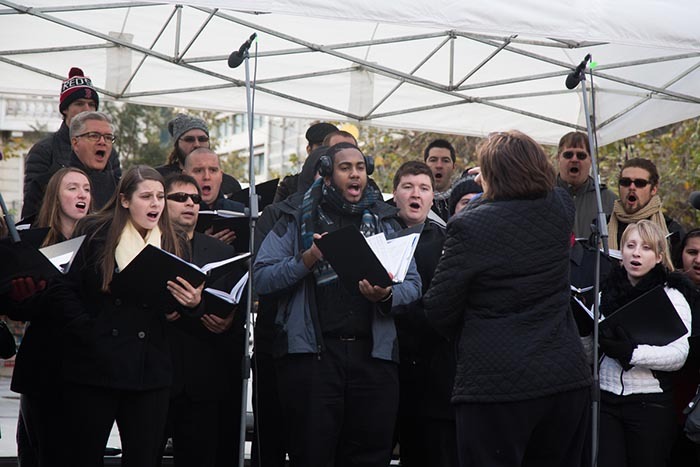 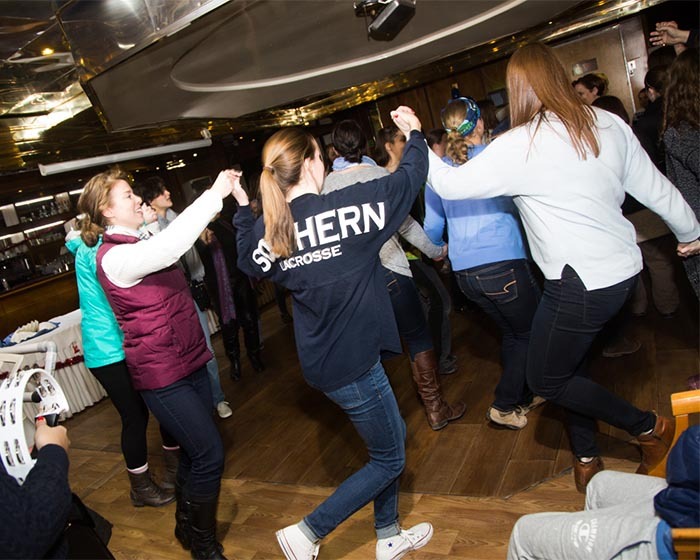 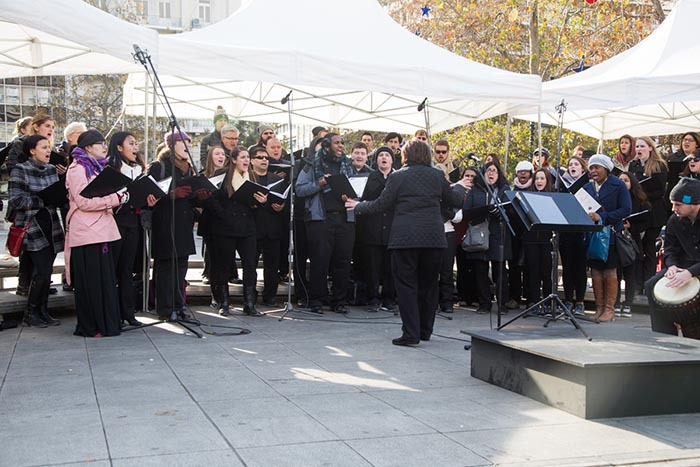 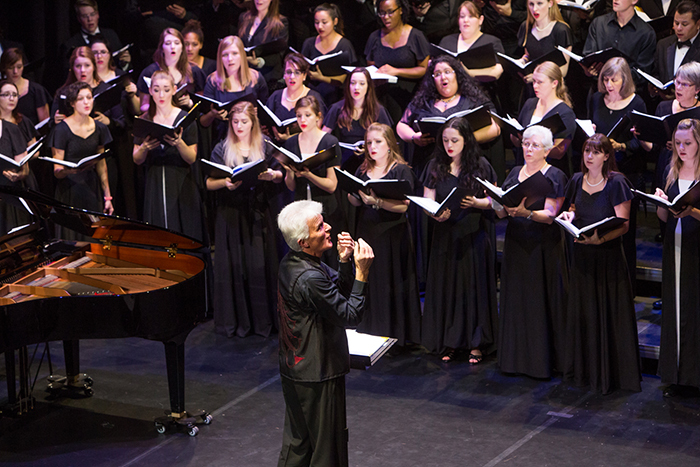 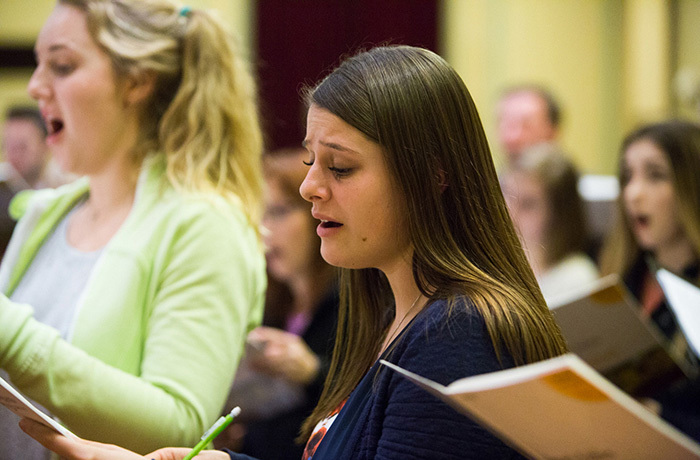 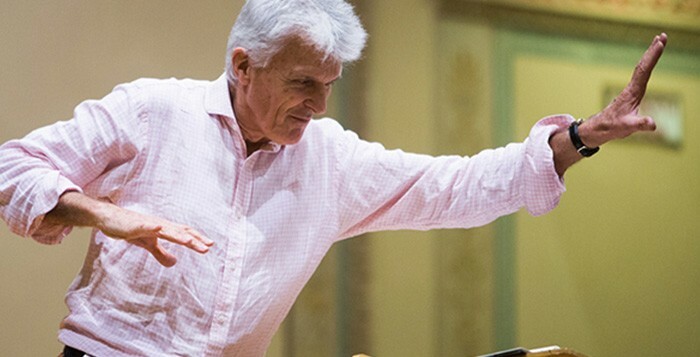 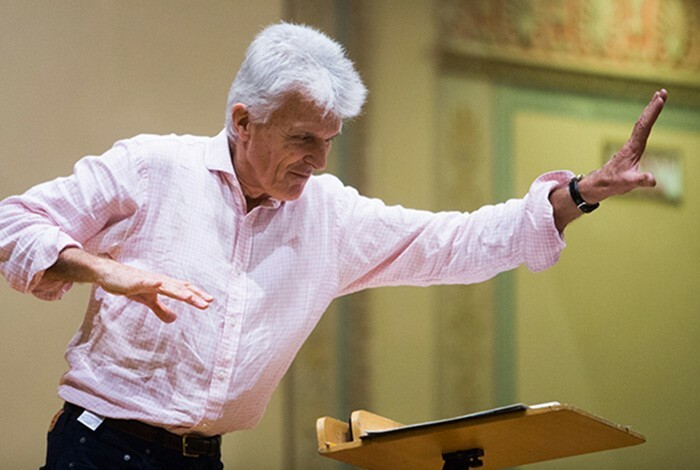 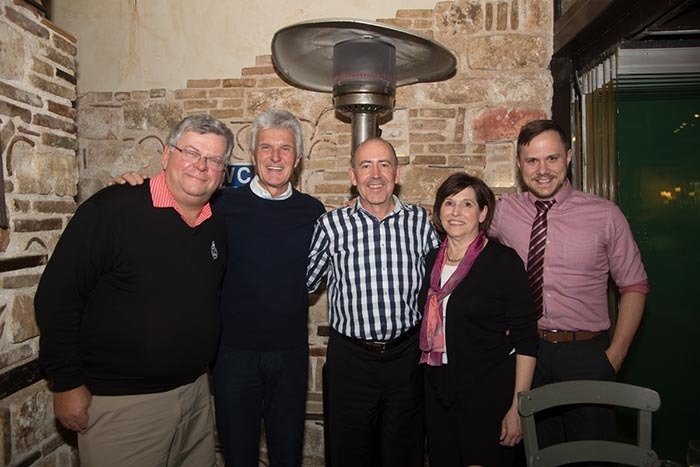 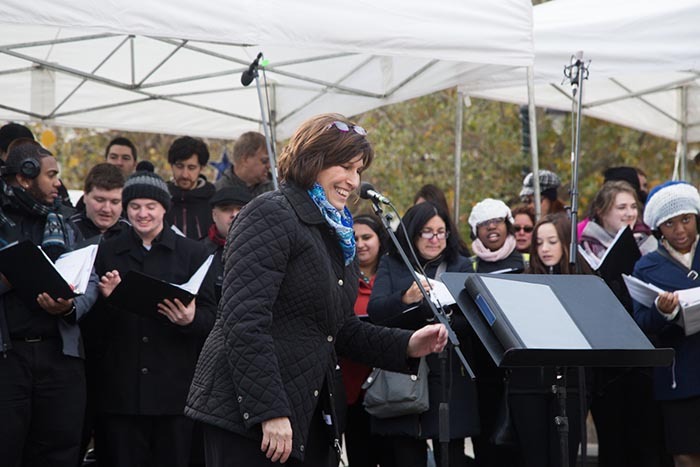 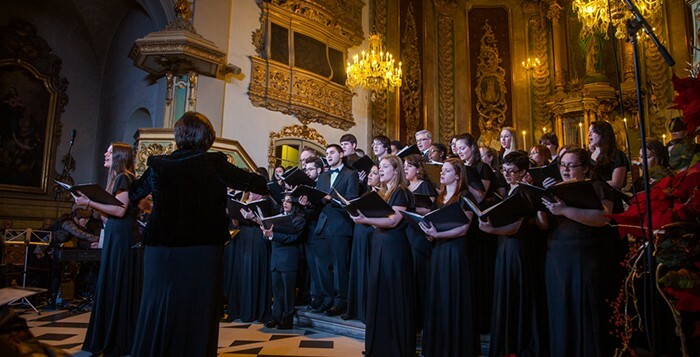 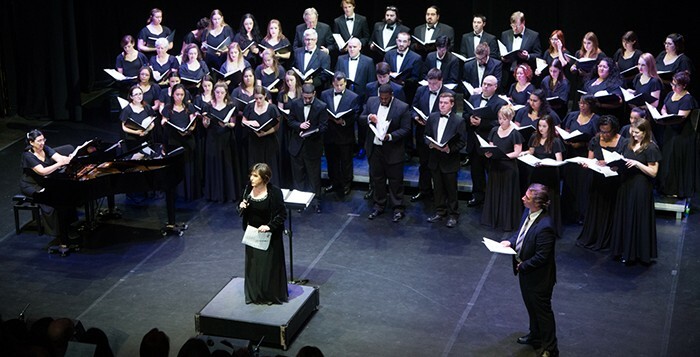 The Southern Connecticut State University choir, led by Terese Gemme, is performing in and around Athens, Greece from December 27 through January 4, 2016.